GREENBELT, Md., Sept. 29, 2015 – ROSS Companies, a leader in multifamily acquisitions, property management and renovation, today announced it has acquired Charlestowne North Apartments, a 178-home community in Greenbelt, Md. ROSS Companies will renovate the apartments in an effort to meet consumer desires for new contemporary apartment homes in a popular, convenient location. Charlestowne North is nestled in the residential portion of Greenbelt within minutes of the Capital Beltway, the Baltimore-Washington Parkway, the Greenbelt Metro Station and the MARC Line. While the Charlestowne North Apartments, located at 8150 Lakecrest Drive, can serve as a sanctuary with Greenbelt Lake and Buddy Attick Lake Park less than a mile away, residents have access to professional jobs throughout the region. Washington D.C. is a mere 13 miles away and Baltimore 33. The University of Maryland, which reported enrollment of more than 36,000 students in 2014, is 4.1 miles from the community in nearby College Park. A mix of several popular and local retailers and restaurants occupy the area, with cuisine options ranging from Chevys to Siri’s Chef’s Secret Restaurant. The Beltway Plaza Mall is home to a host of national retailers, including Target, Marshalls, Planet Fitness and a multiplex theater. Originally developed in 1935 with an art deco design theme, Greenbelt was one of three new towns planned under the United States Resettlement Administration, joining Greendale, Wis., and Greenhills, Ohio. The city is home to the Goddard Space Flight Center and the historic Greenbelt Park, a forested area about a mile south of the community that features hiking and equestrian trails, picnic areas and numerous campsites. Directly north and less than a half-mile from the community, Greenbelt Lake composes 23 acres. It is home to Buddy Attick Lake Park, which is named after one of Greenbelt’s first police officers who later became the director of public works. In addition, Eleanor Roosevelt High School – a public magnet school that specializes in science, mathematics, technology and engineering – is less than a five-minute drive from Charlestowne North. 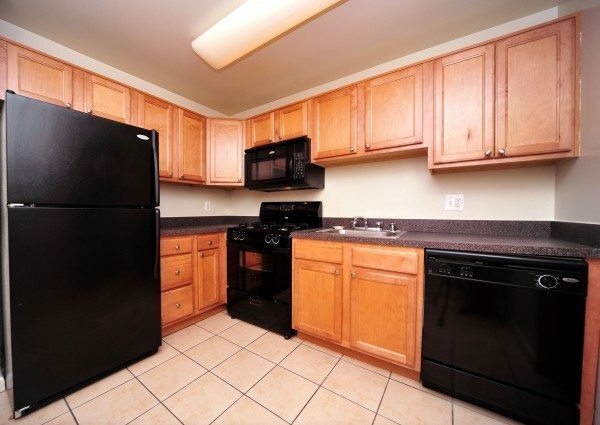 The community consists of studio, 1- and 2-bedroom apartments. ROSS Management Services will update the apartment interiors that received a renovation within the past 10 years and fully renovate the remaining homes. Current amenities include a state-of-the-art fitness center, a resident lounge, swimming pool, sundeck, a vast free parking area and electronic entry for residents. With the addition of Charlestowne North, ROSS Companies currently operates more than 30 apartment communities, representing more than 10,000 apartment homes, in the mid-Atlantic region. ROSS Companies, founded in 1983 in Bethesda, Md., is a recognized leader in multi-family acquisitions and investment, development, property management and renovation. With a managed portfolio of over 10,000 apartment homes in more than 30 communities, the privately held company is one of the most active multifamily real estate firms in the Mid-Atlantic region. ROSS Companies is comprised of three affiliates – ROSS Development & Investment, ROSS Management Services and ROSS Renovation & Construction. In 2015, ROSS Development & Investment is celebrating its 32nd anniversary and ROSS Management Services is celebrating 27 years in business. ROSS Renovation & Construction is now in its 26th year. In 2015, 19 ROSS-managed apartment communities were awarded the Apartment Ratings’ 2014 Top Rated Award, reflecting ROSS Companies’ unwavering commitment to customer satisfaction. These annual awards recognize communities with outstanding resident satisfaction ratings as measured on ApartmentRatings.com. For more information about ROSS Companies, visit TheRossCompanies.com.